Marco Delmar, is the owner of Recording Arts music studio, an award-winning music producer and engineer, and the co-founder, host, and producer of music themed radio talk show. With such a decorated present it’s not surprising that he came from a past filled with experience. Starting his career as a songwriter and guitarist in the New York City based band, The Elektrics, the band quickly rose to popularity being signed to Capitol Records and going on to tour with the likes of Robert Palmer, Iggy Pop and Alice Cooper. Recording multiple studio albums with legends in the industry, such as Robert Freeman (The GoGos), Tony Bongiovi (Talking Heads, Star Wars), Neil Dorfsman (Sting, Bruce Springsteen), and Steve Priest (The Sweet), Delmar took an interest in the recording side of the music industry. With the end of The Elektrics and a relocation to the Washington, DC area, Delmar created Recording Arts with Basehead front man Mike Ivey in 1995. With the continuous growth of Delmar’s business and expertise, Delmar is now recognized as one of the leading record producers in the DC area, winning the Producer of the Year at the Washington Area Music Awards 13 years in a row. He currently holds emeritus status for the award. His client base continues to grow nationally and internationally working with labels such as BMG, Epic Records, Imago Records, Capitol Records, Shanachie Records, and Luaka Bop. His clients include the likes of Basehead, Citizen Cope, Emmet Swimming, Christylez Bacon, Margot MacDonald, Patty Reese, and more. Much more than just a studio, Recording Arts provides a broad range of services to its clients. Primarily, Delmar works doing artist development with his clients, as well as individual producing and engineering projects. As seen through his clientele, Delmar adjusts to accommodate the developmental needs for a range of careers, from full bands, to ethnic music, classical ensembles, singer-song writers, and more. In his most recent venture, Delmar co-founded a radio program called Music Alley Radio. The aim of the show is to give support to local musicians by putting them on a larger platform to showcase their music. Pre-recorded segments of the show are recorded, edited, and mixed at Recording Arts by Delmar. The show features a talk show, in which Delmar co-hosts, discussing Washington DC’s local music scene and playing local music. Based out of Arlington, Virginia, the show airs weekly on Arlington Independent Media’s radio station, 96.7FM. With Recording Arts reaching its 21st year in business, Delmar continues to work with musicians nationally and internationally. He is eager to further expand his client base and continue to provide a range of services. Ken Barnum has worked in music since 1995, initially running live sound for his two bands 33 West and Monako. He graduated from Shenandoah University in Winchester, VA, in 2002 with a Bachelor of Music in Commercial Music, specializing in Recording and Engineering. He joined the Recording Arts team in 2006 and has received two Wammie nominations for Best Instrumentalist in Modern Rock and Best Modern Rock Recording for the band Aaron Crawford and the Badcards. Ken has produced, mixed, and engineered several projects for a variety of artists including 33 West, Crash Boom Bang, One Third Dork, Ballyhoo!, Aaron Crawford and the Badcards, Soundtrack for Silent Films, and many more. Outside of his passion for music, Ken is a tech nerd and adrenaline junkie, with a love of mountain biking, snowboarding, and anything gadget related. 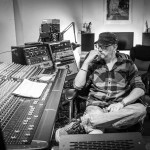 Mark Reiter has been involved in music production since the late 90′s and has tracked, mixed and mastered literally thousands of songs in the intervening years. He is also a drummer and member of the band Daycare Swindlers. Mark has begun primary tracking on the new Cabin Creek EP, is mixing Supreme Commander’s cover of Government Issue’s “Blending In” featuring DC music legend John Stabb and is tracking and mixing the new Joy! LP. He is also running a Kickstarter project called “Kick It! A tribute to the A.K.s” that features songs from The Pietasters, Two Man Advantage, Supreme Commander, Daycare Swindlers and many other local and national acts. Jessica Bowles graduated from Appalachian State University with a BS in Music Industry Studies, with concentrations in Recording & Production, Music Marketing & Promotion, and a minor in general business. 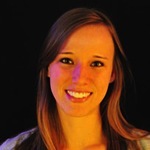 After being introduced to live sound as an assistant concert engineer, and later the concert manager of the Hayes School of Music, she decided to integrate her live sound knowledge into Recording Arts via mobile recording services. In addition to live sound, she also works as a studio engineer and has worked with artists and bands such as Ted Garber, Aaron Crawford and the Badcards, Degrees of Freedom, Laura Baron, Margot MacDonald, The Ruins, Mike Meiers, Emy Tseng, Kevin Peter Jones, Christylez Bacon, and various others. Antonio joined Recording Arts in 2002, just after he graduated from Full Sail with a degree in Audio Engineering. Antonio combines the techniques of the analog masters with the savvy of computer technology in the digital realm. His technical skills are held to such acclaim that he has been quoted in an article in the Washington Post and has been nominated ‘Engineer of the Year’ by WAMA for the past four years. He is noted for the limitless possibilities that he creates while in the recording studio. He has also mastered projects for Emmet Swimming, Esmirelda, Nikki Rouse, Mike Grebb and many other local and regional musicians. Michael is a Producer/Arranger/Songwriter for the band Basehead (Imago/BMG International Records/Koch) and byob (13records/Rykodisc). His project has received rave reviews in Rolling Stone, the highest rating and top ten album of the year from Spin, and numerous other favorable reviews in national, regional, and local publications. He wrote music for the French film J’ai pas Sommell (I’m Not Sleepy) which was directed by Claire Denis and won an award at the Cannes Film Festival. Alan Stewart is Senior Manager at Magus Entertainment in New York City and is currently working with Duran Duran, Daniel Bedingfield, Fischerspooner, Lez Zeppelin, Alice Smith, Trustfall, Carina Round, Ferry Corsten and several high profile producers. Alan has been a full time manager since 1993 and previously ran his own management firm and indie record label. He began his career as the manager for Emmet Swimming (who released three records on Epic/Sony) and Basehead (who released three critically acclaimed records on Imago). He also spent two years in Nashville working with the Charlie Daniels Band and the Corlew Music Group/Windswept Pacific Music Publishing. 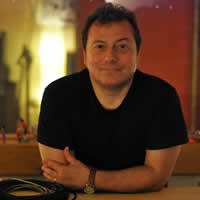 Since 1995 Alan has been a partner and music business consultant for Recording Arts.